What is the Best Type of Storm Protection for Buildings in Walton County, Florida? 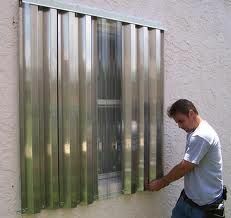 Any shutters that don’t meet these standards may not give you the level of storm protection you need. Fortunately, Empire Construction & Development manufactures hurricane shutters that are built to meet the needs of building owners living in areas at risk for hurricane strikes, including Walton County, Florida. 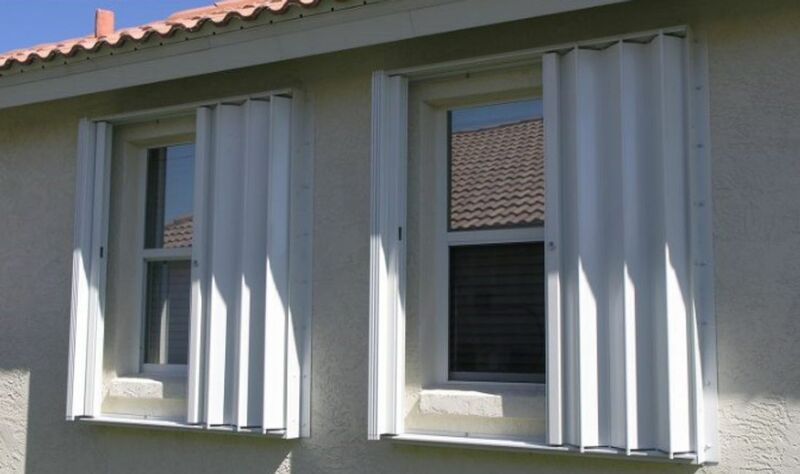 Accordion shutters from Empire Construction & Development are a popular storm protection product that are used on homes, hotels, restaurants, office buildings, warehouses, and other buildings throughout Florida. These shutters are well-liked because they’re sturdy, easy to operate, and add to the value and safety of your home or commercial building. And, of course, they are able to stand up to storms year after year. Our accordion hurricane shutters are made of durable extruded aluminum, and built to adhere to the most stringent wind codes in the country. What does that mean for homeowners in Walton County? When you order your accordion shutters from Empire Construction & Development, you will have the best storm protection available, built to the highest standards, and they’ll be custom-made to fit your windows and doors. 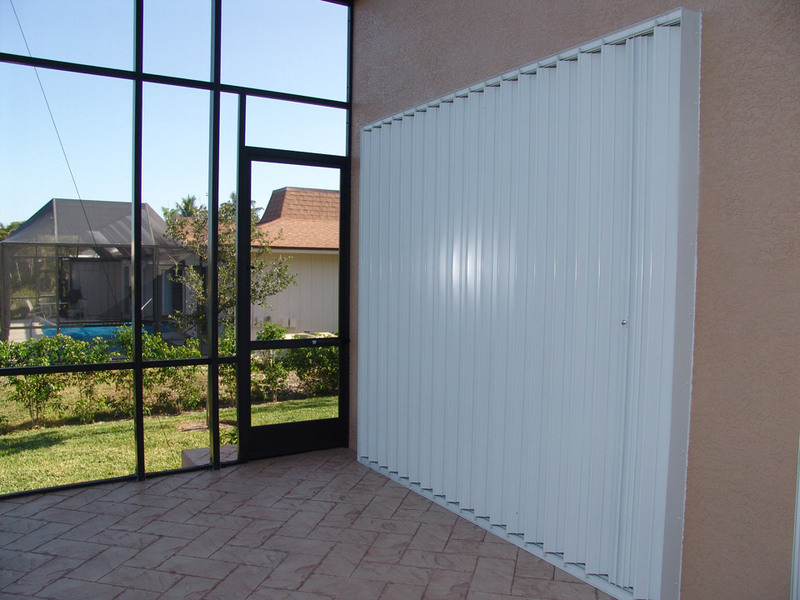 Accordion storm shutters can be used on most window sizes, most any exterior door, and other openings on your property like patio areas, balconies, and more. 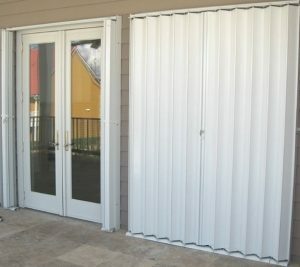 If there is an area on your home or commercial building that can be damaged by high winds, flying debris, and other storm dangers, don’t leave that area unprotected – cover it with a strong, reliable accordion shutter or another high-quality storm protection product from Empire Construction & Development. After hurricane season passes, our accordion shutters are still useful for homeowners and business owners in Walton County, FL. If a shutter is strong enough to withstand a hurricane, it makes a great security shutter too. 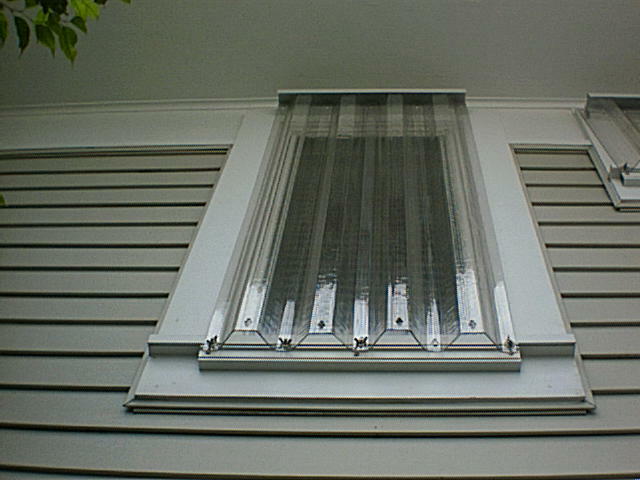 Accordion shutters made by Empire Construction & Development can be used to windows, sliding glass doors, storefronts windows, and more from break-ins, overnight or if you’re locking your home up while out of town. To find out how much accordion shutters cost for your home or commercial building in Walton County, contact us with your window and door measurements today. Call: 888-474-3555 to speak to our storm protection team about your order, or any questions you have about finding the best storm shutters for your property. Get the best storm protection you can find in Walton County – get accordion shutters from Empire Construction & Development. Posted in Accordion shutters, Hurricane Season, Hurricane Shutters | Comments Off on What is the Best Type of Storm Protection for Buildings in Walton County, Florida? Do You Need Hurricane Protection in Jackson County, Florida? When a hurricane is on its way, people who live on the coast are on the front line. People who live on the water are the first ones evacuated, if an evacuation is needed. Cities and towns that lie inland are not always seen to be in as great of danger, but hurricanes can – and do – travel inland. Residents of Florida’s coastal counties aren’t the only ones at risk for the devastating effects of hurricanes from the Gulf — those in the northern part of Florida’s panhandle are also at risk. If you own a home or commercial property in Jackson County, FL, you shouldn’t hesitate to get the best storm protection for your doors and windows. A powerful hurricane can bring enormous amounts of rain and extremely high wind to Florida’s panhandle. Though your home may be sturdy, windows and doors are often vulnerable to breakage when a storm is strong enough. Broken trees, loose branches, flying debris, and more can pose a threat to your safety and your home’s structural integrity during a hurricane. Even a tropical storm can do damage to your property in Jackson County. To protect against storm damage, use a storm protection product that’s stronger and better all around than plywood: storm panels from Empire Construction & Development. 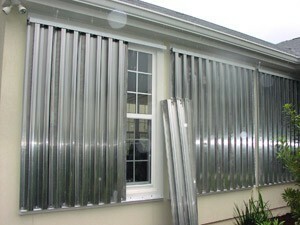 See how to install hurricane panels on your home or commercial building in Jackson County FL on our storm panels page. When you order storm panels online from Empire Construction & Development, we will provide you with all of the hardware you need to install your panels. Our storm panels can be hung with or without track and are made to fit over each window and/or door size you provide us with in your hurricane panel order. And other great storm-protection products. If you want to use panels on one door or one part of your home, and another type of shutter on your other windows, you can order multiple types of shutters from us. For a free quote on hurricane panels for your home or commercial building in Jackson County, contact us today. Call: 888-474-3555 for any questions you my have about protecting your property with storm shutters. Be prepared for storms in Jackson County, FL with aluminum and clear hurricane panels from Empire Construction & Development. Posted in Hurricane Season, Hurricane Shutters, Storm Panels | Comments Off on Do You Need Hurricane Protection in Jackson County, Florida? From the “the icebox of Florida” to “Hub City”, Crestview is one of Florida’s fastest growing cities, with residential developments, shopping, and land area to grow. After Hurricane Michael, a devastating category 4 storm hit the area, the need to prepare your home or business from any future hurricanes has never been more evident. Hurricanes are unpredictable, but if you prepare now, you will be ready to face the next storm! One of the best ways to protect your property, from the extreme weather conditions that can occur in this region, is to invest in Empire Construction & Development’s Roll-Down Hurricane Shutters! These sturdy and affordable shutters remain one of the best options for optimal home security and storm protection. Empire Construction & Development wants what’s best for its customers and will provide very affordable deals plus guaranteed 100% customer satisfaction! All because they care about protecting you, your home, and your business! Roll-Down Hurricane Shutter Systems come with a manual crank or you could upgrade to a fully synchronized electric design for maintenance-free operation! Roll-Down Hurricane Shutters provide elegant designs that are constructed with the finest grade of aluminum for incredible durability and impact resistance! *Advanced technology, and so much more! Hurricane season comes around every year in Florida, but knowing your home is prepared for whatever storms come your way, can give you some peace of mind. Don’t wait until a storm is brewing in the tropics to think about storm shutters. Call today and order quality protection for your home and business. And don’t settle for anything other than the best! Empire Construction & Development is the best all around source when it comes to dependability, security, protection, quality materials, and customer satisfaction! 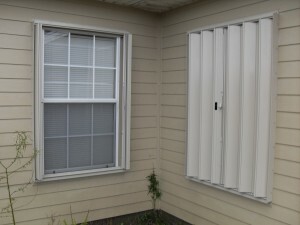 Roll-Down Hurricane Shutters are a great choice for many home and business owners in Crestview, Florida. Many of our customers rely on our roll downs as a convenient, durable and affordable option when it comes to storm protection products. Protect your business or home in Crestview, Florida! Call Today: 954-474-3557 or 1-888-474-3555 for a FREE quote in your area or try out their online estimation tool to get a price quote. Once you see all that Empire Construction & Development can provide for your safety needs, you will know why people in Crestview, FL recommend Empire Construction & Development for their security and protection. 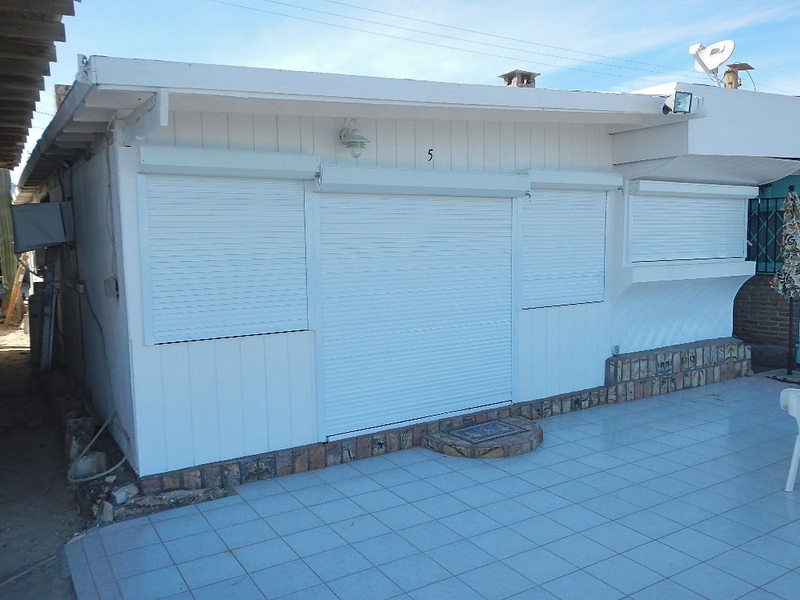 You will not only love the results, you will be protected and safe with custom Roll-Down Hurricane Shutters manufactured and shipped to you by Empire Construction & Development!